Thomas Dam was first and foremost a father, striving to financially provide for his family in the Danish town of Gjøl. His work experience ranged from such things as baker to fisherman to bricklayer before he finally became a woodworker. Despite his best efforts, his family spent their early years living in poverty. All that changed when he surprised his daughter, Lila, with a gift of his own creation. Inspired by local lore of certain magical forest creatures, Dam presented his daughter with the world’s first troll doll, who had magical powers and loved to make people happy. Unlike the plastic trolls that existed in the 1960s and 1990s, this original 1959 troll doll was carved from wood and had glass eyes and woolen hair. His daughter’s love of the doll spread to her friends who wanted one of their own. Setting up shop in a shed in his backyard, Dam started taking orders and selling his troll dolls at local fun fairs and toy stores. Since every troll doll was handmade, Dam had to find ways to increase productivity to keep up with the demand. Instead of carving each one from wood, he started making clay molds of each figure so he could create the bodies out of natural rubber, which he would then stuff with wood shavings before sewing on the sheepskin wigs and clothes. The production of the troll dolls became a family affair, and the sales proved to be more than sufficient to support the family. 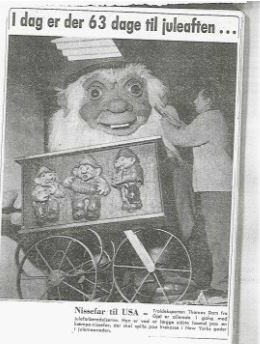 It wasn’t long before Dam’s shed became too small, forcing him to build a small factory to mass produce his “Good Luck Trolls.” Since machines would be used to create the bodies of the trolls, Dam, again, needed to modify how the trolls would be made. He switched from using natural rubber to vinyl, which they are still made from today. The success of troll dolls soon expanded beyond Dam’s home country of Denmark. Making their way into other European countries and beyond, the dolls gained international popularity, especially in the United States. America’s first troll doll craze occurred in the 1960s, and in 1963 the Dam trolls were named the Toy of the Year by the United States Toy Association, second only to Barbie among doll sales that decade in the country. Sale of Dolls by defendant without notice places the Dolls in the public domain from which they cannot be withdrawn by a contention that the omission of the notice was accident or mistake, particularly where the notice was omitted from almost all the Dolls ever manufactured. 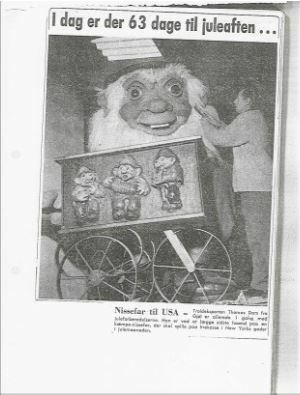 As a result, numerous companies were allowed to start (and in some cases continue) to sell their own copies of Dam’s trolls as well as associated merchandise like t-shirts, key chains, bed sheets, blankets, etc., and Dam’s business saw very little of the over four billion dollars worth of gross sales of the trolls and related merchandise over the coming decades. As suddenly as the troll craze hit, by the end of the 1960s, sales of the little creatures practically vanished. Troll dolls spent the next 20 years in a state of hibernation until the 1990s when they soared in popularity once again, for a second time being named the Toy of the Year by the U.S. Toy Association, this time in 1991. In 1992, sales of the troll doll and related merchandise swelled to $700 million (about $1.2 billion today). By the end of the decade, the second wave had ended. Once again, Dam and his company received only a small percentage of the profits due to numerous copycats. However, after decades of legal battles, in 2003 Dam’s family finally reclaimed their original United States copyright, in part thanks to the Berne Convention of 1989 and the subsequent Uruguay Round World Trade Organization agreement of 1994. Among other things, the latter tweaked some copyright rules to bring the U.S. more in-line with certain stipulations in the Berne Convention. Most notable to the topic at hand, this restored the copyrights of some items that were still copyrighted in their countries of origin, but where the U.S. copyright had expired or been rescinded for whatever reason. A bit of legal jockeying once again ensued and in 2003 Dam Things’ U.S. copyright was finally restored and undisclosed damages were paid. Sadly, by this point the two troll fads had passed and Thomas Dam himself had been dead for fourteen years, dying in 1989. After an ill-fated attempt at launching an animated troll TV show in 2005, Trollz, in partnership with DiC Entertainment, the Dam Company thought bigger and partnered with DreamWorks in 2010 to produce both an animated film and television series about the beloved troll dolls with the pot bellies and wild, colorful hair. The film is set to release in November of 2016 (conspicuously close to Christmas…). 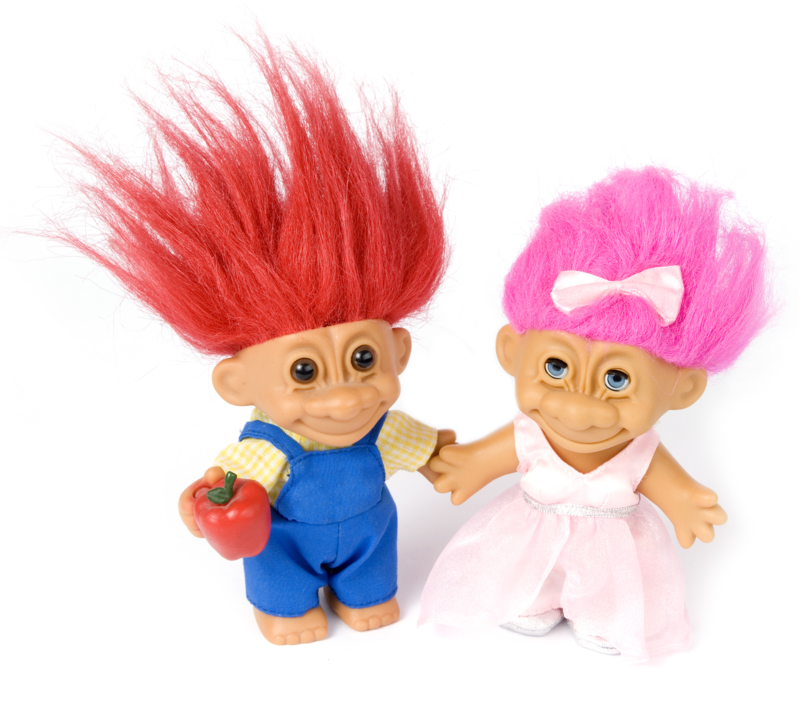 Will this spur the third wave of troll doll mania? I guess we’ll have to wait and see. Whatever the case, the Dam company once again won’t benefit if such a fad manifests. However, this time it was their own choice. Three years after partnering with DreamWorks to make the troll film and show, the Dam company decided to sell the brand to DreamWorks for an undisclosed amount, keeping only the Scandinavian rights to the trolls for themselves.